Enjoy FREE access to unbeatable deals and thousands of offers from your favorite stores just for being an eligible mall member. 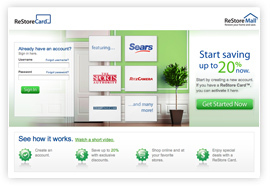 Search or browse by categories, products, or stores to easily find products and offers. Return to this site frequently and look for your email reminders so you're always aware of new offers added from the merchants you like. Exclusive Savings: Specially for you, we've negotiated exclusive discounts at many of your favorite retailers! Free Shipping Offers: These offers feature free shipping so you can enjoy shopping without shipping fees! Click on the products or offers that interest you to get full details. Look for the Offer Code above the "Shop" button. Click the "Shop" button and shop as you normally would. On the checkout page, if needed, enter the coupon code for the offer. 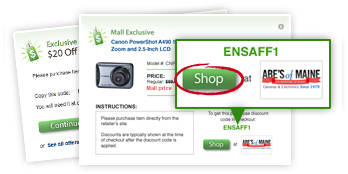 Tip: Look for stores and offers with the exclusive icon for extra savings from featured stores.